We have pivotal experiences in our lives in which we witness quintessential moments of love & sacrifice, but also grief. Sometimes those that experience them with us process the experience very differently than we do . This becomes especially difficult when the experience involves grief and the person processing it differently is your spouse. We will be exploring that today. On today’s episode I am honored to introduce to someone who has quickly become one of my closet friends, Rachel Gainer is a mother of 4 plus an angel and the amazing fitness & mindset coach behind Rachel Rebuilt. Rachel shares her story of being drawn toward adoption even before experiencing infertility issues that left her unable to have a child 6 years into her marriage. She tells of their rocky journey to adopt but the heavenly moments she experienced as she held her daughter for the first time and then witnessed quintessential love & sacrifice watching the birth mom lovingly prepare to pass her daughter off to Rachel for a lifetime. She then shares the almost sacred journey with her second daughter, the leap of faith to adopt her, her fragile health, and her eyes that captured Rachel’s love. And after 2 months into her life, their final moments together as a result of a congenital heart defect. 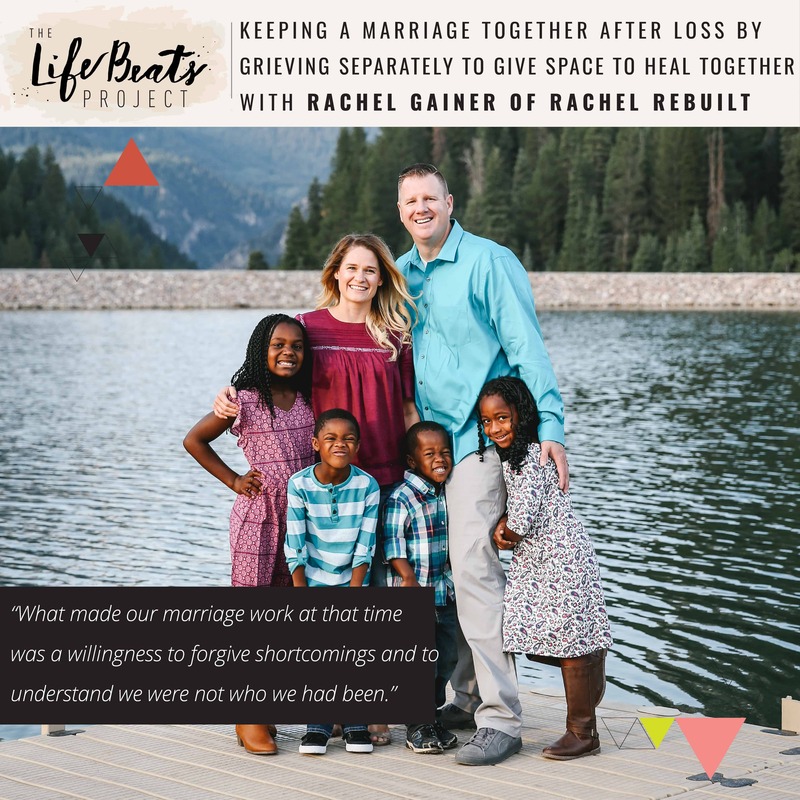 Rachel shares the grief that struck her and her husband’s hearts and the strain that their differences in grieving took on their marriage but the key things they did that ultimately gave each other permission to grieve separately while taking their family to a place of healing together. Rachel tells of trying to find herself again after such a loss over many years and how she rebuilt that hope & identity and how now through her coaching business she shares with women the process she experienced of coming to know and love yourself. Listen and be inspired to cherish those moments of joy and to navigate moments of difficulty and grief individually as well as in a relationship, as well as to remember that in order to love others unconditionally, we must first love who we are. ongoing support through a private FB group, live video conference calls & one private coaching session.